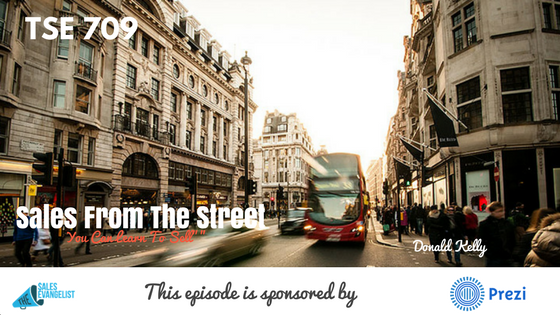 TSE 709: Sales From The Street -"You Can Learn To Sell"
Not everyone is born a seller. But any one can learn how to sell. If you think you’re never going to be good at selling – stop right there. Stop making excuses. Because you can improve if you commit yourself to it. Today’s guest is Chuck Allen, a commercial and residential roofing sales rep based in Texas for a roofing company, America’s Choice Roofing. He has been doing this for about five years now. 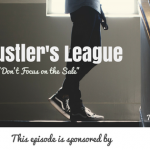 He’s sharing with us his biggest struggles and some strategies he applied that have now made him a million-dollar sales individual. Chuck thought it was easy to go from being an order-taker to doing the actual sales. Although he knew the product so well, he had a hard time explaining why their customers would want the product. He went two months without selling a roof. His bank account went rock bottom. He struggled and he second-guessed everything he did. This was a humbling experience for him, finding out that he wasn’t a great salesman. And at that point, he decided to do something to improve. 1. Write down your weaknesses and strengths. Chuck taught himself how to sell. Read books. Listen to podcasts. Get some sales training. Learn as much as you could from as much people. Learn how to do presentations that can keep people’s attention. Explain your process and company. Do not lose them in a pool of technical jargon. 4. See what successful people are doing. Follow successful in your field and in sales in general just to see how they do it. This allows you to adapt your strengths to theirs. 5. Have confidence in yourself. Understand that no matter what the question is, you’re going to have an answer for it. Believe in yourself and believe in your products. If you don’t, nobody else will. People can tell when you’re genuine. You have to truly believe in your heart that what you’re doing is going to be the greatest benefit to the person you’re trying to work with. And nobody on earth can provide a better solution to that problem than you can. Connect with Chuck Allen on Facebook, on Twitter @ChuckAllen2, and LinkedIn. America’s Choice Roofing or give them a call at 855-5-MYROOF.